The giant mutual insurer has announced plans to float on the UK stock market. What does demutualisation mean for its savers and estimated 2.6 million policyholders? Why has Standard Life decided to float? The finances of the mutual insurer have been particularly hard hit during the stock market falls which started in 2000. Standard Life has long had a policy of investing more than most other insurance firms in the stock market. Recent reports suggested the group has been in danger of missing minimum solvency levels when new accounting rules come into effect later this year. New solvency rules are being introduced by the Financial Services Authority (FSA) to ensure that investors have a clearer picture of the financial strength of insurers. In January, Standard Life entered into high-level talks with the FSA about how the solvency rules will impact on their business. Soon after these talks Standard Life announced that it was considering flotation. Flotation will allow Standard Life to raise cash and guarantee that it can meet the new solvency rules. If I am a policyholder will I get a windfall? Yes, demutualisation would mean with-profit policyholders - including endowment savers - could be in line for windfall payouts - but not until 2006. What is more, Standard Life has announced that recent with-profit policyholders who had previously been barred from receiving a demutualisation windfall will now receive a payout. But anyone taking out a with-profits policy on or after the 31 March will not be eligible for a payout. As for Standard Life's deposit account savers they will not receive a windfall. Standard Life has said that it has a £4.6bn surplus. Recently, a demutualisation campaigner estimated that payouts would average £2,400-3,000. However, according to investment firm Hargreaves Lansdown policyholders may scoop windfalls of only a few hundred pounds. In previous demutualisations the extent of individual payouts has depended on size and duration of policies. Standard Life policyholders may now regret the fact that the insurer had successfully beaten off two previous attempts to force a float. The first came in 2000 from fund manager Fred Woollard, while an attempt by retired lecturer David Stonebanks was defeated in 2003. 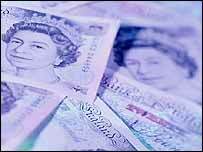 In 2000, Mr Woollard said policyholders would be in line to receive windfall payouts in excess of £10,000. However, the financial position of Standard Life, like many other insurers, has worsened since then, and there maybe less cash to share around this time. What will happen to my deposit account savings? In the past, Standard Life has argued that its mutual status allowed it to offer a better deal to savers and borrowers. Mutuals do not have to pay dividends to shareholders; as a result, in theory, they should have more cash to pay higher interest rates to savers. But some suggest that the commercial disciplines imposed by being listed on the stock exchange and being answerable to shareholders will be good for Standard Life's savers and borrowers. After flotation, the company also hopes to raise money on the stock market to bridge any gap that might emerge in its future funding requirements, thus ensuring its solvency.